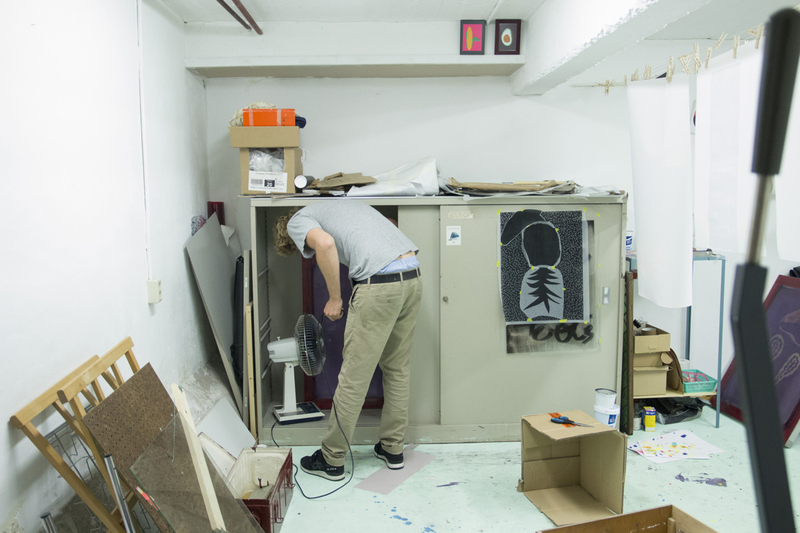 As we were in need of a good place to experiment and could use the help of somebody who knows about silk screen printing, one name popped in mind immediately: our ex-intern and friend Felix van Dam. 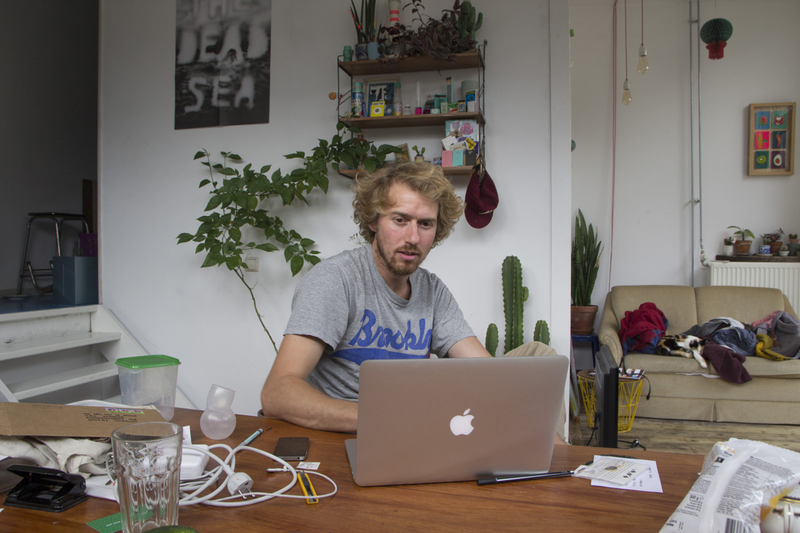 Felix has a design studio with his girlfriend (We are out of office), and besides that he keeps himself busy in his homebuilt silk screen workplace. 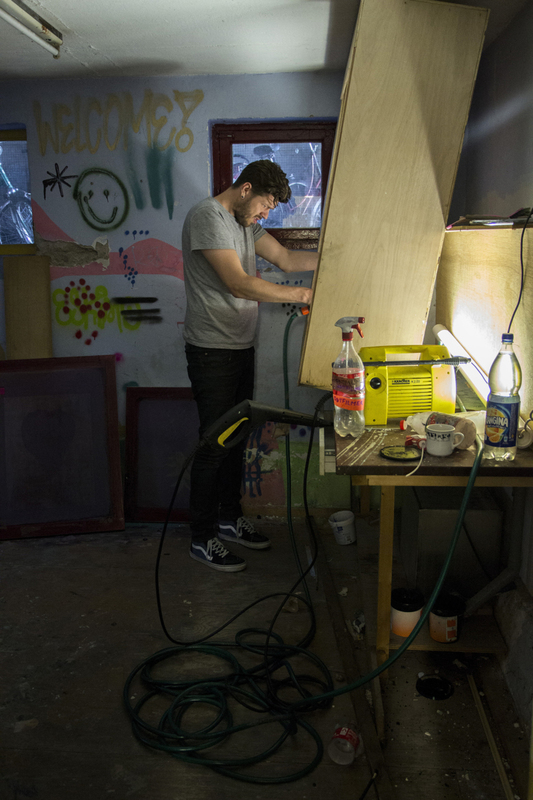 As you can maybe derive from the pictures, Felix has somewhat of a ‘hands on approach’ to silk screen printing. Actually he has more of an ‘anything goes’ mentality and we love the old bat for it. So the main portion of the project will take place in the crusty dungeon under Felix’s two room apartment with Felix as an equal partner in the process. In my last post I fantasized about all the different ways to use the light sensitive emulsion. Me and Felix discussed different approaches and the possibilities the other conditions the assignment provides.
) In his graduation project, Felix developed a ‘photographic installation’ that he built together with photographer Jaya Pelupessy. 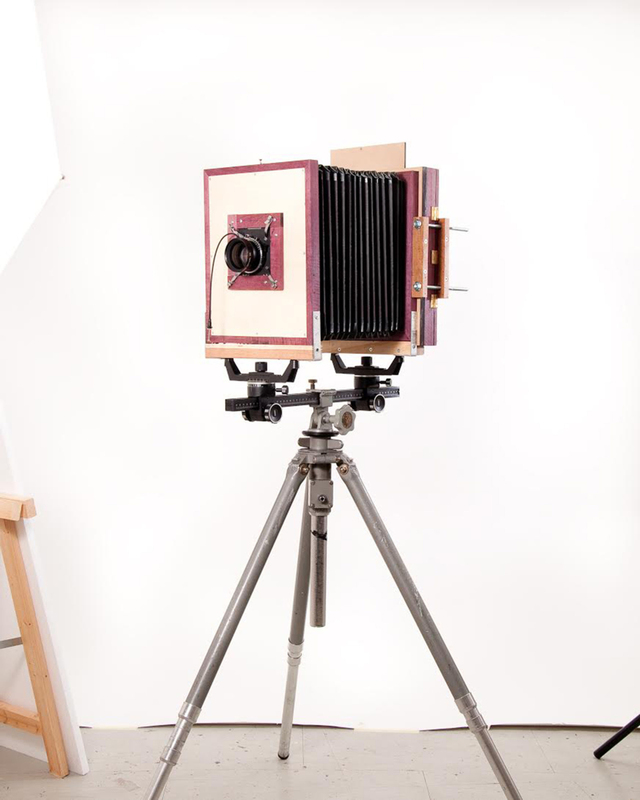 This photo camera uses silk screen windows in stead of film. This is a ongoing project from which the results hopefully will be exhibited soon. In his research for the camera he already did quite some experiments with the light sensitive emulsion, like lighting an entire room or an object. Talking about this approach several ideas ignited. The “what would happen if’s” flew over the table and this week’s post is all about the ideas we tried out as a result from this conversation.